CommScope helps companies around the world design, build and manage their wired and wireless networks. Our network infrastructure solutions help customers increase bandwidth, maximize existing capacity, improve network performance and availability, increase energy efficiency and simplify technology migration. You will find CommScope's solutions in the largest buildings, venues and outdoor spaces, in data centers and buildings of all shapes, sizes and complexity, at wireless cell sites, in cable headends and telco central offices and in airports, trains, and tunnels. Vital networks around the world run on CommScope solutions. With 5G fast approaching, CommScope can help your campus infrastructure stay agile, connected and efficient today and tomorrow. Our campus fiber optics solutions provide critical backbones that can support ultra-low latency, as well as speeds up to 100 Gbps and beyond. 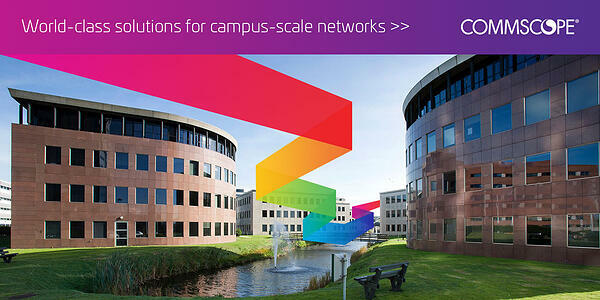 Unlock your campus potential with smart, flexible and scalable fiber solutions from CommScope. With 5G fast approaching, CommScope can help your campus infrastructure stay agile, connected and efficient today and tomorrow. Let CommScope help you create bandwidth without boundaries. Click here for more information. Not all IBW solutions are created equally. Each of the three main IBW technologies, small cell, traditional DAS and unified wireless infrastructure (UWI), provides numerous pros and cons, depending on the building's size, use and occumpancy. Click here to download CommScope's IBW Guide, which will help you and your clients sort through the different IBW options and find the best one for their facility. Click here to download your In-Building Wireless Best Practices eBook. The enterprise marketplace demands flexible, innovative solutions from a partner with deep insight and broad expertise. For decades, CommScope has delivered this excellence to customers—all over the world, across every major industry. 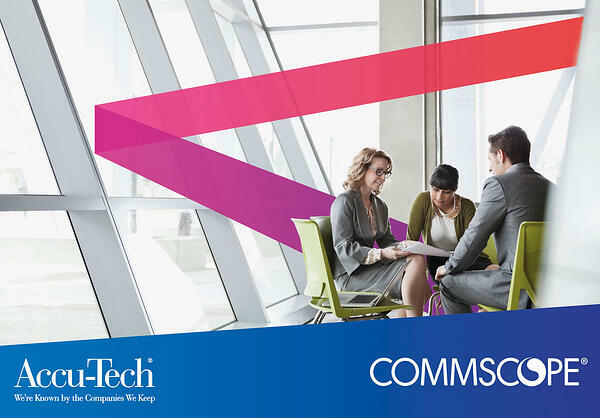 Download your free High Speed Migration Guide from CommScope.